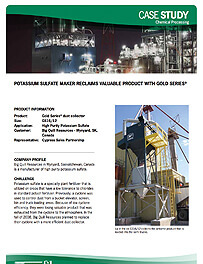 Big Quill Resources in Wynyard, Saskatchewan, Canada is a manufacturer of high purity potassium sulfate. Potassium sulfate is a specialty plant fertilizer that is utilized on crops that have a low tolerance to chlorides in standard potash fertilizer. 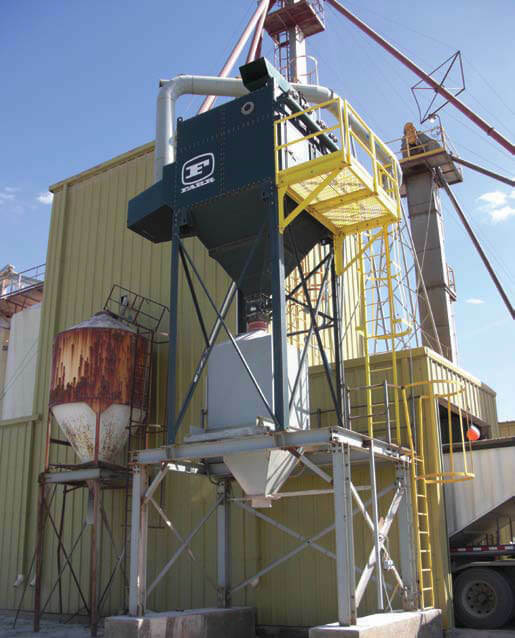 Previously, a cyclone was used to control dust from a bucket elevator, screen, bin, and truck loading areas. Because of low cyclone efficiency, they were losing valuable product that was exhausted from the cyclone to the atmosphere. 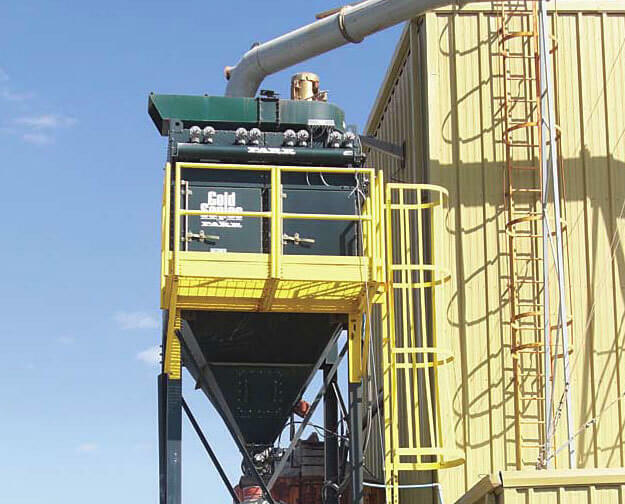 In the fall of 2008, Big Quill Resources planned to replace their cyclone with a more efficient dust collector. GS model GS16/12 replaced a cyclone, which used to emit product into the air. Up in the air, GS16/12 collects the airborne product that is loaded into the semi trucks.